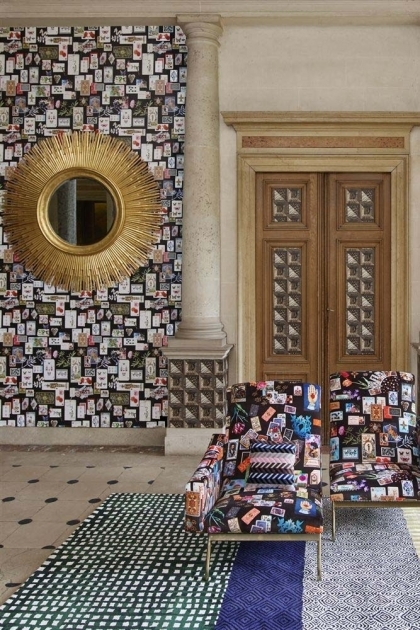 Ever since the creation of the couture house in 1987, Christian Lacroix style is unique, exuberant, colourful and baroque. 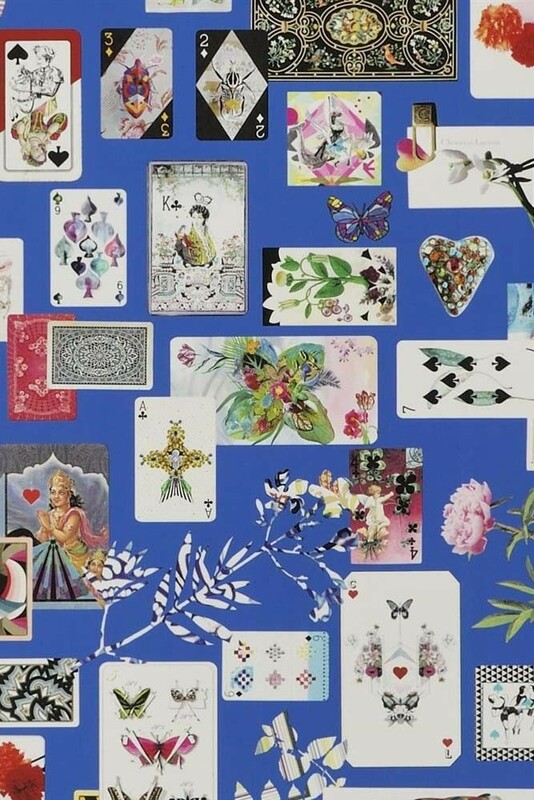 The Hispanic and “Arlésiennes” inspirations, colours, innovative forms borrowed from theatrical make a sensation and are a breath of freshness in the fashion circles. 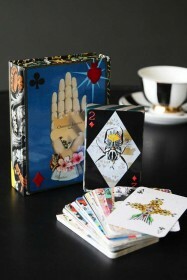 Stunning and quite literally a House of Cards! 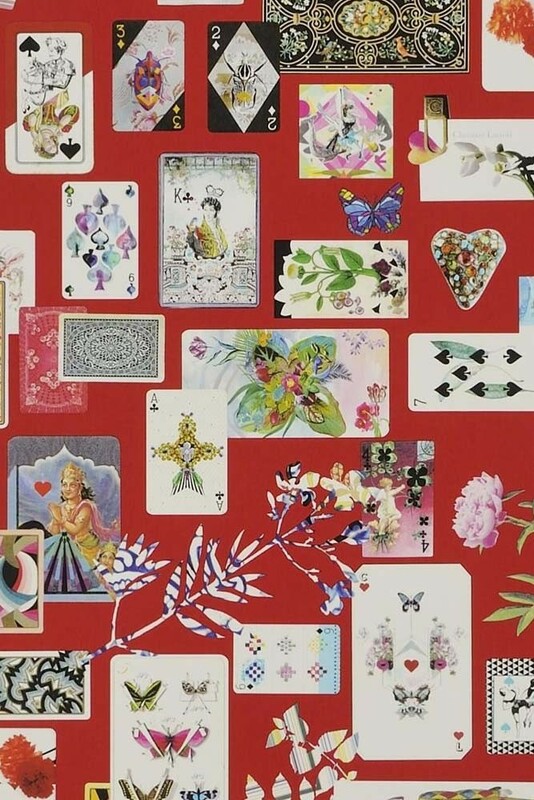 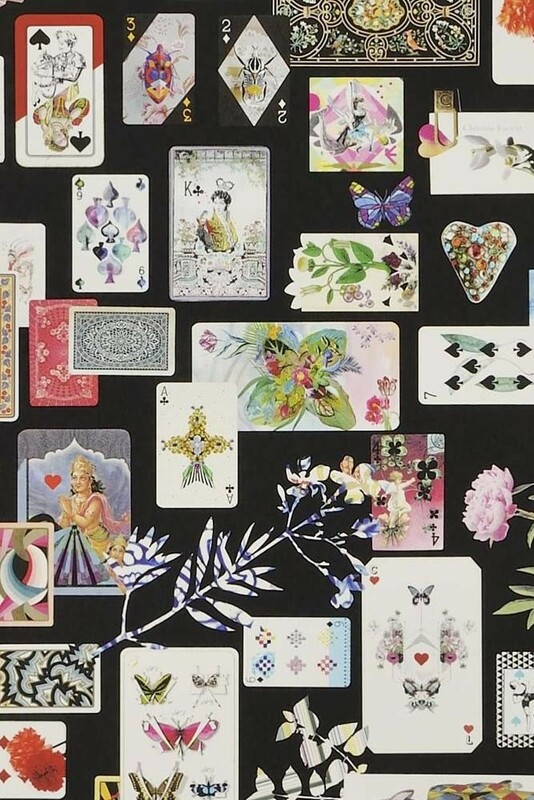 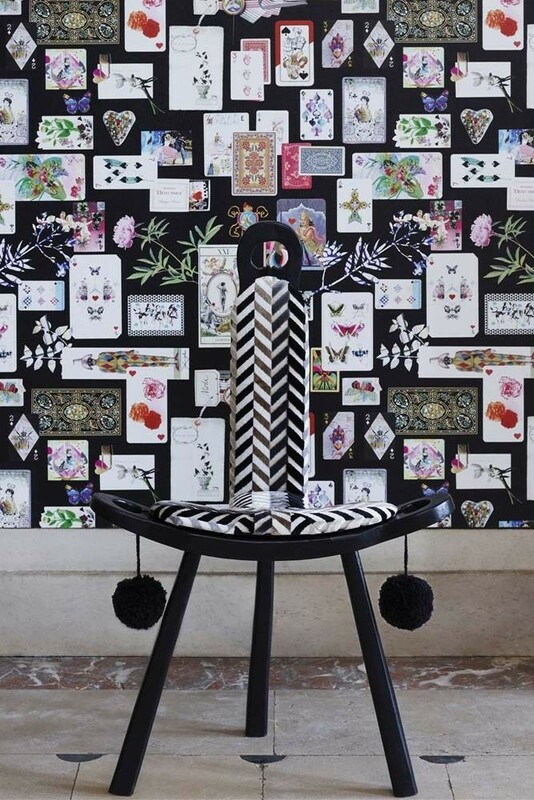 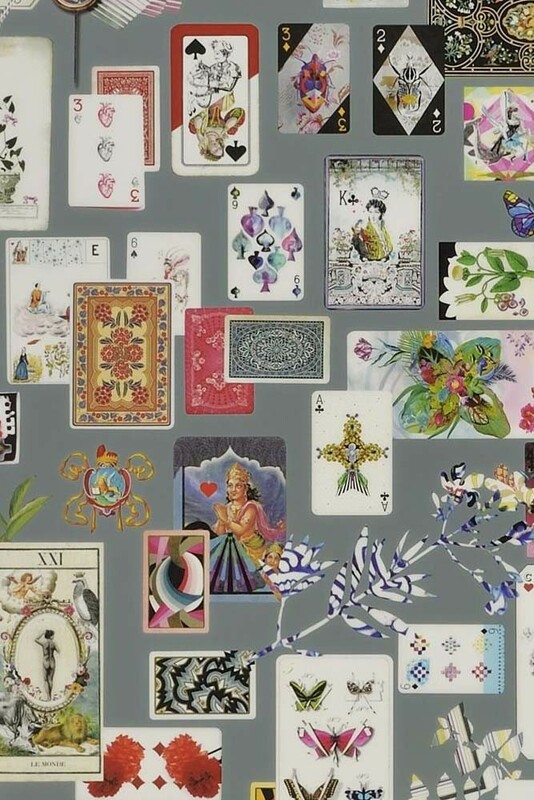 This wallpaper consists of colourful antique playing cards set against a richly coloured background - a classic signature Christian Lacroix look. 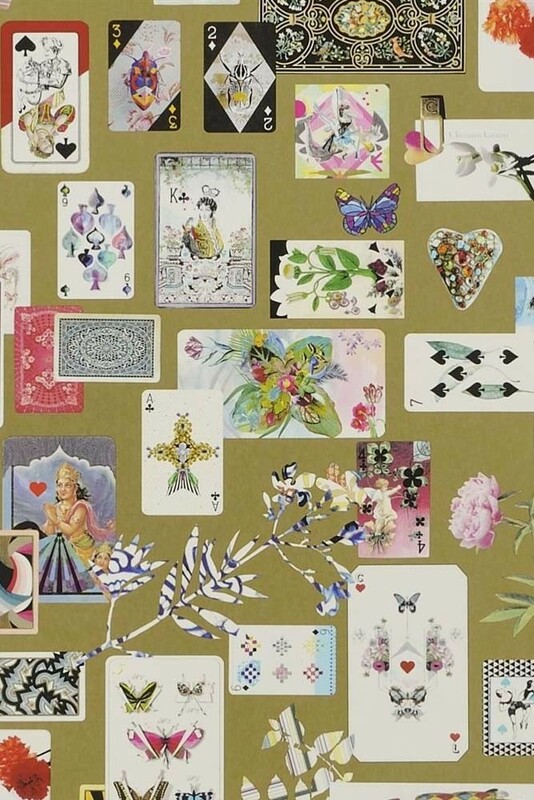 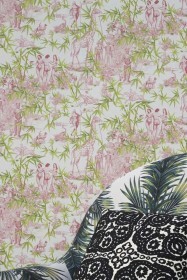 Printed onto a heavyweight non-woven ground for easy hanging, this wallpaper will look fabulous as a feature wall. 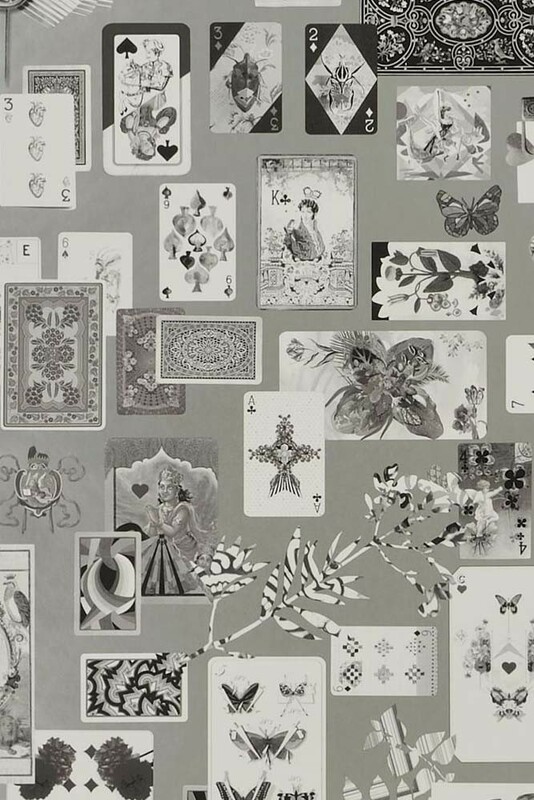 The name literally means House of Cards - a gaming house.